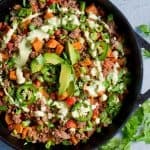 My weekly meals are not intended to be a “diet plan”, but a simple collection of wholesome, delicious, and easy meals that are also kid-friendly! I love to vary up the dishes with different nutrients as well. Enjoy! SUBSCRIBE to get these free weekly meal plans delivered straight to your inbox! All meals are gluten-free and Paleo. -Chicken Cordon Bleu is bound to be a new favorite family meal!! We are obsessed with this one. The classic French dish gets Paleo-ized with a delicious breading and creamy “cheese” sauce. This is such a treat for a Sunday dinner, or easy enough for a busy weeknight! -Because we’re still having some cold, rainy weather this week, I am still in soup mode! This Instant Pot or Slow Cooker Taco Soup is sure to be a hit for Taco Tuesday! -Sheet Pan Teriyaki Chicken with Pineapple is a one pan meal that can be made in less than 30 minutes! Whip up a quick marinade and sauce, and toss everything together. -Spicy Shrimp Egg Roll in a Bowl is another quick and easy dinner for a weeknight. I love that you can re-heat the leftovers for lunch, or make ahead and use as meal prep throughout the week! Hi Amy. Did you get my email message? Hope to see you guys. Is there grocery list to go with the meal plan? Hi Gina, not currently but hoping to add that feature soon! So excited to follow your weekly meal plans. Do you know if your recipes are good for Type 2 diabetics? I will be cooking these for my father. Yes, Rebecca! My recipes use real ingredients and are gluten-free without refined sugars. Most of the recipes are also Paleo and good for type 2 diabetics. We are finally having a break from the hot weather here too (highs only of 80/82 daily 😝) but cool mornings! I’m so excited for these recipes. They all look delicious. Thank you!! Thanks so much for sharing these lovely recipes. I’m going to try to use your meal plan next week. Do you have a shopping list print out to match the recipes? Just wanted to check so I didn’t recreate it. Hi Elizabeth, at this time I don’t. Sorry! I am hoping to add that feature sometime next year. Love love you pomegranate and avocado salsa 🎄🎄🎊 My DIL ‘s Mother brought it for Christmas appetizer 🎄 I love pomegranate seeds amso glad to haves new recipe ! Thank-you for your creation! 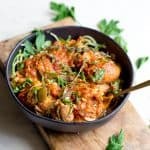 I am super excited (and hungry) to try the Whole30 InstantPot meals; they sound yummy for these polar vortex winter days! Those black bean sweet potato quinoa burbs are a hit at our house.yummy. I’m interested in whole30 and Instant pot recipes. 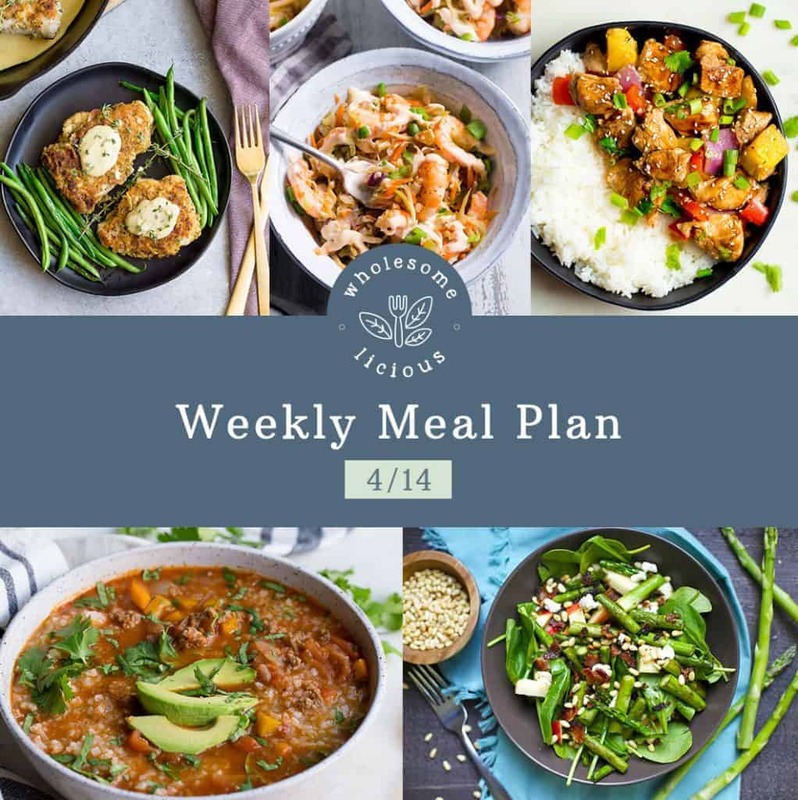 I would love to receive your weekly meal plans. So happy I came across this! Thank you Amy for sharing your passion and love for all things yummy!! Dollie Carpenter highly recommended I check you out! So glad I did!! Do you have a shopping list per week? That would be amazing..
Hi Julie!! I would love to do that at some point!! Hoping for more hours in the day, haha! But keep checking back, it is something i’d Love to do. Hi Amy, Check out That Clean Life website, it is a company out of canada and you put in your own recipes and they do the shopping list, etc for you. I don’t work for them, we just purchased it for our clinic that offers recipes to our patients who don’t know what to eat. 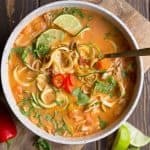 Love your site and love the instant pot recipes. They are life savers for a busy mom! Sounds like a great resource!! Thanks Bethany! Love your blog!!!! Thank you for sharing your healthy creativity!! Good day,I’m starting the Whole 30,would like some tips on seasoning my chicken, salmon,tilipa,please, kindly appreciate it. Click on the Whole30 icon under the menu bar or side bar to get all of my Whole30 recipes. Enjoy! Hi just wondering in the creamy tomato recipe you indicate adding the sauce, and the diced tomatoes have a star next to it in the ingediant list….is there a step im missing? Also you call for coconut cream and call it milk in the recipe can you just use milk? The * is there to indicate that my preferred canned tomato puree is San Marzano tomatoes. And either coconut cream or milk will work in this recipe, but make sure it’s the full fat canned stuff! Looks wonderful!! Keep up the good work! Discovered you on Yummly. so excited for this! sometimes I’m really stumped what to cook for dinner, hopefully this will help, do you create some sort of grocery list for this as well? Just enter your email address in my subscribe box (on home page or at bottom of each recipe post). Just starting a whole 30/low keto diet. It felt overwhelming until I found blog sites like yours. Thank you so much. I’ve just started my Paleo journey but have my adult son resisting. So my meals that I am trying to make are ones that don’t look like I’m on a health kick. That way he won’t realise he is eating healthy nutritious food. Hopefully he will come around by enjoying them. Here is hoping anyway. Just starting. Trying to prep A LOT! Getting overwhelmed. Thank you! Subscribe and get free recipes delivered to your inbox!